an unfinished wooden piece (originally a kitchen tool caddy) I picked up from a local thrift store for $0.75...yep that is correct. Seventy-five cents. All of the other materials I already had so that is the total out-of-pocket cost for this project. Seventy-five cents. And I love the way it turned out. Again my complaint is with my photos--they just don't do this project justice. But it did turn out cute. 2. With your choice of color, paint the remaining. 4. With chalk, write on the lower half. You can personalize it and give it away as a gift. 5. 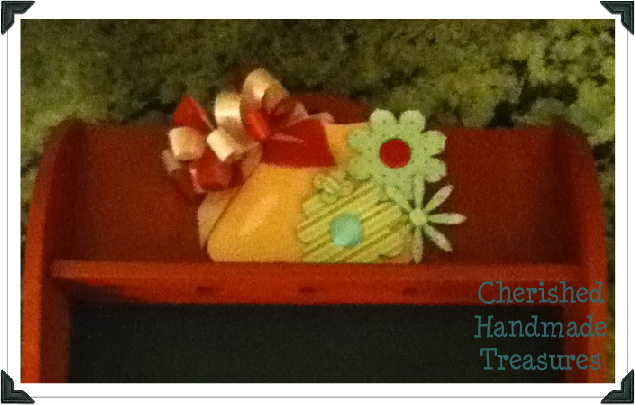 Add ribbon to the dowel and the drop your scissors and tools into the tool holes and your set! 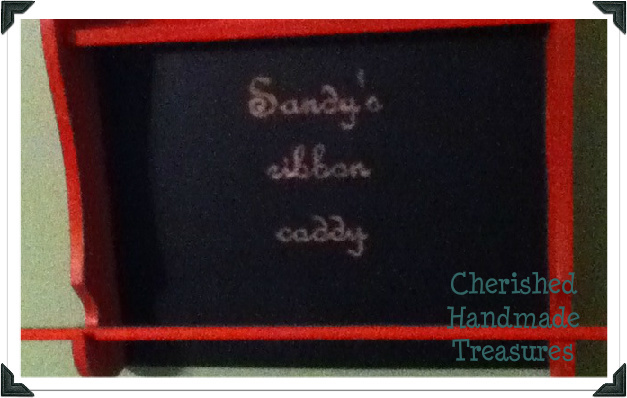 A cute little ribbon caddy you can hang on your wall. 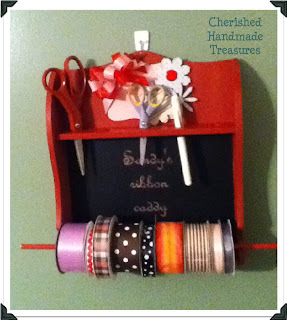 Unfortunately I would need about 50 of these to hold all of my ribbon. But it's a start! 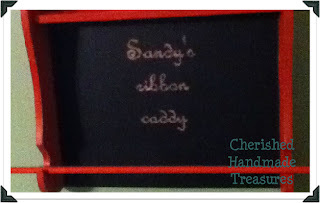 Sandy this turned out so cute - Love it!